It would have been almost impossible for anyone who reads my blog to miss the results of The Great Blind Chardonnay Tasting 2018 held earlier this year where the best of the New World were pitched against some of the best of classic Burgundy in an epic blind wine tasting tussle for Chardonnay supremacy. 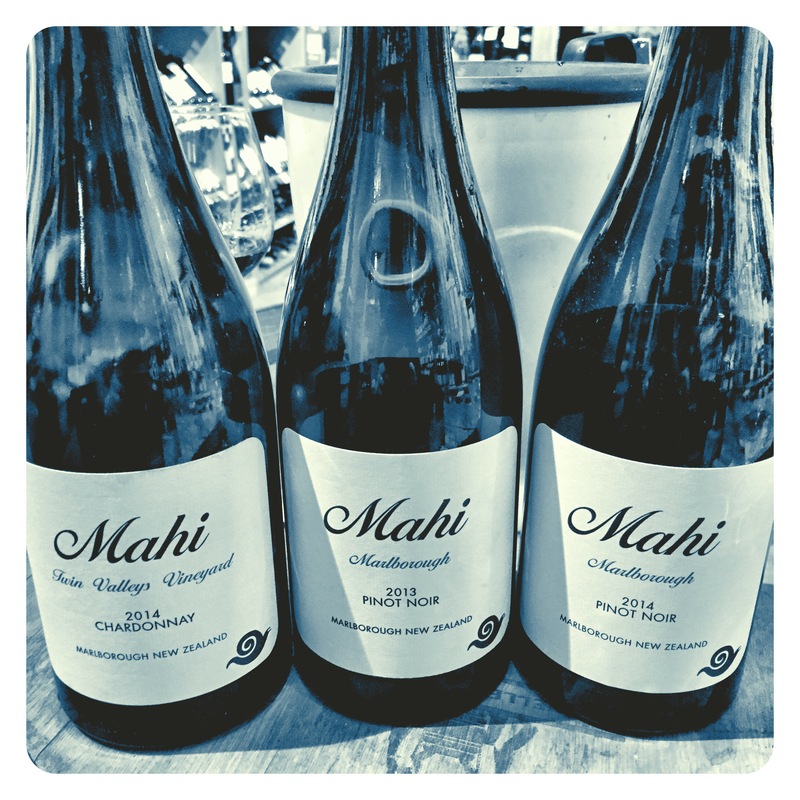 In this tasting, the Kumeu River Maté’s Vineyard 2014 performed astonishingly well, further solidifying the widely held belief that this New Zealand winery makes wines every bit as good as the best white Grand Cru Burgundy houses. 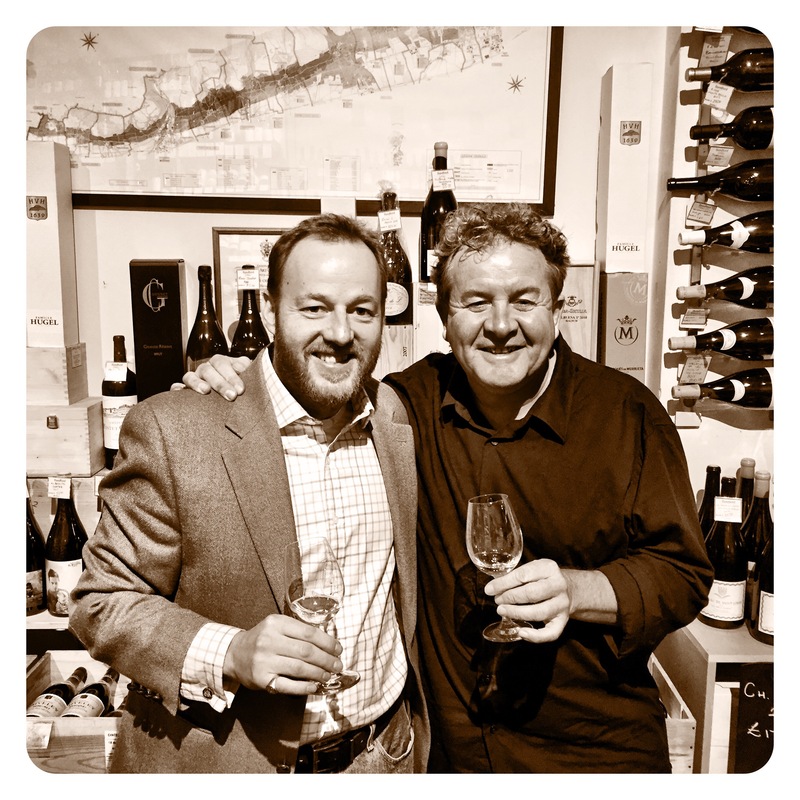 In the UK market, Farr Vintners have long been one of the leading importers of Kumeu River’s wines over the years, so needless to say I was thrilled to be invited by Farr Vintners owner Stephen Browett to the greatest, most extensive Kumeu River tasting ever held in the UK market. Stephen Browett first visited Kumeu River Winery – and met winemaker Michael Brajkovich – in January 1990 on a visit to Auckland. He’d been tipped off about this new Chardonnay producer (first vintage 1985) by Barry Phillips who had bought the 1987 for the wine list of the legendary White Horse Inn at Chilgrove. Stephen tasted the 1989 vintage from barrel and placed an order – Farr Vintners has shipped every vintage since then. 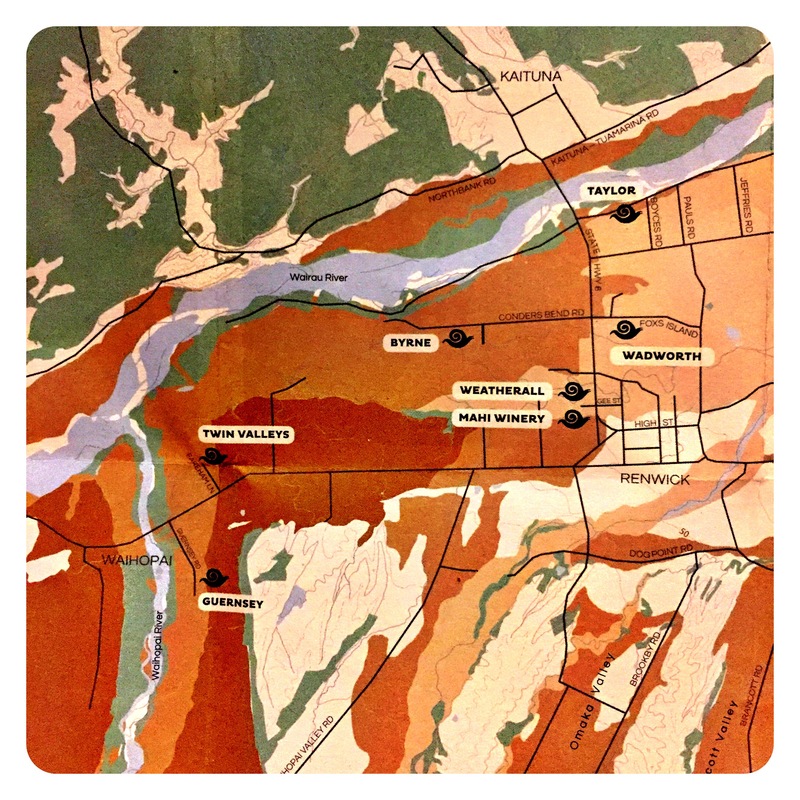 In 1993 the Estate Chardonnay was joined by “Maté’s Vineyard” and two further single vineyard wines “Hunting Hill” and “Coddington” arrived on the scene in 2006. After some serious problems with cork closures in the mid / late 1990’s, a decision was taken in 2001 to seal all Kumeu River wines with screwcaps. Michael’s wines now have a world-wide reputation and consistently perform exceptionally well in blind tastings held all around the world. An illustrious tasting panel included among others Oz Clarke, Steven Spurrier, Jancis Robinson, Neal Martin and Will Lyons . On the 21st of September 2018, Farr Vintners hosted the most comprehensive tasting ever of the Chardonnays of Kumeu River – with Paul Brajkovich and UK representative Hugh Phillips – at Farr Vintners offices in Battersea Reach, London. The tasting included all vintages of the Estate, Coddington, Hunting Hill and Maté’s Vineyard Chardonnay from 2006 to 2017. A total of 48 wines served in 4 flights of 12. Paul Brajkovich chairing the tasting, the brother of winemaker Michael Brajkovich MW. Fine restrained nose with plenty of dusty gravel, apple blossom, sweet pear and lemon and lime peel. Sleek, compact palate, quite a gentle, harmonious, fleshy mid palate with rounded acids but a resurgent, pithy, vibrant finish of limestone, lemon peel and white citrus spice. More dust and gravel with lifted powdery grey slate minerality. Notes of bruised lemon, cassis leaf, lemon cordial and potent intensity. The palate is sleek and finely polished, elegant and positively light on its feet. Middling weight, finely textured, this is open enough to to drink now. Less dusty minerality on the top notes, more yellow blossom and honey suckle perfume with pithy, grated lemon rind and white citrus notes following close behind. Texturally quite full and fleshy and more crunchy, piquant acids in evidence. Impressive saline vein and a noticeably longer, more intense, concentrated length. Subtle hints of flint and smokey reduction but with plenty of waxy green apples, white citrus and wet chalk base notes. Definitely extra depth and aromatic definition on this 2014. The palate is polished and sleek, focused and bright with crystalline acids, pithy lime and lemon, white peach, yellow grapefruit and a long, dusty finish with impressive intensity more reminiscent on the single vineyard wines. Delicious. Lovely deep greengage and white citrus notes with the tell tale liquid minerality and waxy green apple complexity and perhaps just a touch of tertiary yellow orchard fruit nuances appearing. Palate shows a nice pithy grip, some phenolics, again a touch more yellow orchard fruit, pithy limestone bitter lemon and plenty of liquid minerality. Wonderfully expressive nose of apple pastille, lemon cordial, cassis leaf and wet chalk. Subtle hints of bruised orchard fruits, white peach and honey on white toast. Complex, touch more savoury with crystallised figs, waxy apple, and fine length and intensity. Complex broody nose of greengage, green apple, wet chalk and pronounced liquid minerality with resinous sappy spice. Plush and fleshy, massive breadth and depth, quite glycerol and packed with white peach but lovely length and depth from bottle development. Rich, complexity, delicious smokey aromatics mixed with real concentration, power and palate depth. Wonderful power, precision, intensity. Wow. Superb wine. Cooler, richer, finer texture with citrus Lemon cordial nuances. Vibrant, quite electric, plenty of verve. Another impressive offering. Coming from a warm year, this wine is creamy, fleshy, quite harmonious with a broad palate. Chalky, pithy peach and liquid chalk notes abound. Expressive in a more mineral style quadrant. The most tertiary with bruised yellow orchard fruits, root veg and aged yellow plum. Hints of almost botrytis styled dried fruits and savoury, honied breadth. Drinking now. Lovely sweet – sour plum, fine harmony and palate elegance. This wine is in a very comfortable place. Plush, long and beautiful drinking now. 2.4 ha plot with heavyweight clay soils producing only 900 cases. Planted in the mid 1990s, the grapes were pulled out of the Estate blend in 2006. 25% new oak, 11 months on the lees. Creamy melon and lemon butter exoticism and youthful exuberance. Hint of yellow peach, white pepper and green apple pastille. Full, bold and intense concentration, lovely bright zippy acids, mouth coating lime cordial and sweet lemon confit. Just a baby but really delicious. Fine, harmonious, integrated aromatics suggesting lemon cream biscuits, pithy white citrus and a very fine vein of dusty, gravelly minerality. Rich with hints of sweet and sour, full mid palate flesh and quite a crystalline feel to the wine with impressive purity. Super old world Burgundian nose with nuances of wet chalk, limestone, apple pastille and lemon and lime lift. Palate is subtle, more restrained, but still steely and fresh, with electric acids, a more linear mouthfeel and again, a very old world, detailed, mineral finish. Impressive. Plenty of exotic lemon cream biscuits, white peach and crystalised figs. Palate surprises the senses with massive, unctuous weight, powerfully fleshy body, seamlessly integrated acids and a slightly sappy, spicy, resinous citrus and apple purée finish. Very harmonious and without doubt an impressive glassful. The most seductive nose of lemon blossom, struck match and fresh rain on dry limestone rocks. Wonderfully well proportioned, saline, tart acids, quite piquant in fact and certainly a more maritime feel to the wine with the most mouth watering long, sweet / sour finish. Wow. Sweet, bruised orchard fruits, sour plum and a subtle citrus under note. Some savoury, earthy, root veg notes developing lending complexity and palate weight. Spicy, honied finish suggests this is ready to pull out the cellar and drink. More complex tertiary notes evident here with bruised orchard fruits, waxy lemons and green apples left in your school bag for a few days. Palate has delicious bright acids, a fine fleshy core of fruit and a harmonious, evolving savoury complexity with a teasing lick of mint leaf. Drinking well now. Youthful and intense, this is a great vintage and the wines are all standing the test of time and showing it boldly. Lovely wet chalk minerality, apple cordial and a subtle hint of bruised lemons and savoury white peach. Wonderful complexity follows to the palate that is harmonious and fresh, seamless and finely textured with smokey, piquant, citrusy length. Delicious. Dusty, liquid mineral nose melting into lemon and lime cordial and hard lime candy. Fine wet chalk and lemon fruit intensity and a peach pastille depth. Exotic, earthy, savoury, fruit notes, with bruised peaches, greengage and aged lemons. Fine, elegant texture, harmonious and quite a suave, relaxed engaging wine. Lashings of savoury quince, honey and buttered toast, ripe peach and subtle root veg make for a very exotic, complex expression. Fleshy, sleek, slightly saline, this has a lot of appeal and allure but is simultaneously so youthful. An exciting wine. Superbly harmonious and round, fleshy yet defined and fresh. Sweet and sour plum, greengage and candied lemon fruits. Drinking beautifully now, perhaps not the most distinguished wine in the flight but certainly a profoundly enjoyable fine wine to drink now. 3ha plot producing 1000 cases. Vines are trained in the Lyre trellis system and the vineyard was owned by Kumeu and replanted in 2000 to Chardonnay Clone15. Only 3kms apart from Coddington. North facing, mostly clay soils. Wines are often tight, limey, more mineral, and linear style. Normally employs Francois Freres barrels, up to 25% new. Apple puree and pineapple lead boldly from the front with backing notes of green melon and apple pastille nuances. Taut and focused, very precise acid frame, electric with out being rasping and a most harmonious, delicious, elegant, crystalline finish. Tight in youth but should blossom into another show stopper. Lovely taught apple and pear phenolic notes which melt wonderfully into the pithy, mineral leanness of struck flint and crushed limestone. Svelt and textured, super precise and focused, this wine has an incredible texture like a polished diamond. Beautiful balance, harmony and mouthwatering precision. Wow. Rich ripe expression with honeysuckle and lemon blossom. Plenty of restraint and delicate white floral citrus notes. Palate is linear and fresh, vibrant and zesty showing great vigour and energy. Lovely depth, power of fruit, intense concentration and above all, superb drinkability. Very Impressive. Finally a vintage of Hunting Hill where you feel the vineyard drops its guard and shows you a snippet of its inner heart. Complex and alluring, multi-dimensional with wet chalk, sweet lemon citrus and boxwood spice and resinous green honeydew melon. Palate shows wonderful concentration, crystalline purity, a full and fleshy palate and the most seductive, sweet – sour, saline length. Great expectations for the 2014 and it does not fail to deliver. Sweet honey and apple pastille nose, this shows plenty of subtle aromatics of struck flint and tart Granny Smith apples. Palate is lithe and fleshy, vibrantly tart with great intensity, power and concentration. Wow, a vintage that plays into the hands of the vineyard to create a real joy of a wine. Cool, smokey struck match reduction, very Burgundian with piquant, bitter green lime and lemon, sour plum, grapefruit and gun flint. Massive palate depth, this wine is a real surprise of the flight showing fine pedigree and complexity and the most delicious, mouth watering drinkability. Slightly muted, earthy savoury nose with limestone and lemon, hairy peaches and wet chalk. Palate is bright and expressive, crystalline and pure, quite saline and maritime with brightness and precision. Beautiful. Dusty chalky limestone minerality leads from the start with youthful lemon lime citrus, lime and nutty, wet chalk mineral breadth and depth. Quite profound and alluring complexity. Tight and mineral, very Burgundian in style with layers of struck match, flint and limestone chalky minerality. Fleshy, round, complex and intense. This is another delicious wine. Savoury yellow blossom and lemon peel with subtle notes of yellow orchard fruits. Plenty of struck flint and spice. Lovely concentrated palate, great intensity, sweet and sour power, vibrant lemons and tart green apples. A super expression. Lovely melange of wet straw, sappy white citrus, lime peel and waxy yellow orchard fruits, complex and balanced, perfectly fresh and mature but with incredible verve and vigour, brightness and fresh citric kick. Very fine indeed. One of the best. Rich and savoury, ripe and plush with linear fruit focus, white citrus and a tart white peach finish. Perhaps lacking some stuffing on the mid palate but with this, like all the other older wines, is drinking beautifully with harmony and mature elegance. A 2.6ha vineyard planted with Mendoza clone in 1990 with its first vintage being 1993. Soils are classic clay based and are more pliable. Virused vineyards that ripen slightly later than the others. Often affected by hen and chicken berries leading to quite heavy pressing and more phenolics. Beautiful sweet lemon blossom, white peach and honeysuckle notes, waxy green apples and real lift. The palate is intensely concentrated and rich with power, punch and real energy. This is one to watch, possibly the best expression since 2010 and 2014. Lovely zesty phenolic nose with green apple skins, white peach and grapefruit citrus. Plenty of palate harmony but also a backing granitic, stoney minerality that keeps the wines opulence in check. The finish is linear and taut, vibrant and decidedly saline and maritime. An intriguingly dusty, chalky, mineral nose with white peach stone fruits, greengage plum, soft lemon citrus and crystalline yellow apples. Plenty of dusty minerality, crush gravel and linearity with the finish quite saline again, tart and fleshy, full yet nervy. A wine all about contradictions. Very impressive and certainly one for the cellar if you can find any stock. Tasting with Neal Martin from Vinous and Will Lyons from The Sunday Times. The aromatics open up to reveal an array of yellow fruits, savoury hairy peaches and ripe figs. The theme continues to the palate with plush, fleshy depth, yellow peachy fruit and a more opulent, creamy, tinned fruit salad complexity. Very pleasing but slightly atypical? Wonderfully austere nose of crushed gravel and wet grey slate. Palate is broad and harmonious with a real powder puff softness and femininity. Dense but light on its feet, this is wonderful to drink now. Salty fig notes layer a really delicious higher tone of yellow peach, white citrus, creamy pear purée and lime cordial with a lemon biscuit cream finish. Dense, plush and profound. Wow, this is one to track down! Superb and up there with the best in the tasting. Quite tight aromatics, restraint, fleshy tropical yellow fruits and a hint of exoticism. Fine silky opulence, plush, textural and very expressive. Lemon butter and cream, puréed lemon and piquant spice notes. Broad and plush, fleshy and full with an open knit texture that is certainly drinking well and ready to go now. Superb melange of sweet savoury yellow fruited depth, pithy spice, phenolics and sappy intensity. The Lemon – lime cordial note comes through with honey suckle and lemon blossom lift. Super creamy, coating the mouth with amazing plush concentration and a glycerol lacquer. Really delicious with amazing tertiary complexity. Citric and spicy, this shows a really complex nose of root veg, bruised orchard fruits and old lemons. Naturally retains a very fleshy texture with hints of sweet and sour quince and an utterly harmonious, mature, pure finish. An incredibly profound tasting that will serve as a fine historical marker of quality for these superb wines. The oldest were ageing slowly and gracefully with the 2007s being the consistent pick of the older wines. For more recent vintages, the 2010s and 2014s are benchmark great and equal to anything Burgundy can produce with the Chardonnay grape. The 2015s and 2016s make for thoroughly pleasing drinking but it’s the 2017s from the line up of wines that are bold, intense, confident and youthfully intent on following in the footsteps of 2010 and 2014. Fill your cellars if it’s not already too late! New Zealand’s Villa Maria has been making wines for over 50 years from many of the North and South Island’s best appellations. But to mark Villa Maria’s 54th Anniversary, the company decided to release a new flagship red to commemorate the occasion. Called Ngakirikiri, the Maori word for Gravels, the 2013 vintage was chosen to showcase Villa Maria’s first ultra premium red. 2013 will go down in Hawkes Bay as one of the best red wine vintages in this regions history, presenting an unmissable opportunity to launch this new wine. Villa Maria owner, Sir George Fistonitch, described it as a ‘once in a lifetime opportunity’ to create and launch a flagship wine marking all the winemaking achievements of Villa Maria’s 54 year history. The Ngakirikiri Vineyard is sited on what was an ancient riverbed in the a Gimblett Gravels sub-region of Hawkes Bay. Over 25 years ago, the site was blessed by Maori elders before vines were planted. Growing conditions can be extreme with the alluvial gravels providing a very stony, free draining environment for the vines. As a result, vines tend to be less vigorous in canopy growth with their roots delving deeper into the soils resulting in intense, deeply flavoured grapes. Villa Maria Ngakirikiri The Gravels Cabernet Sauvignon 2013, Gimblett Gravels, 14 Abv. Although this wine is almost 5 years old, it still possesses a youthful deep plummy purple colour. A flagship red wine deserves to have an exulted, opulent, complex bouquet and this Gimblett Gravels blend does not disappoint. With 97% Cabernet Sauvignon and only 3% Merlot, the nose is lifted and elegantly perfumed with aromatic layers of intense cassis, black cherry, blueberries, damson plums and wonderful violet, dried rose petals and lavender perfume. The palate is dense and textured with opulent layers that are classically proportioned and seductive showing black cassis fruit concentration that would not look out of place on a young super premium Pauillac or St Julien Bordeaux. The supportive cedary oak is beautifully integrated and the tannins while youthful, are very fine grained lending just the right amount of Old World styled restraint. True to all great reds from New Zealand, this wine has super vibrant freshness that enhance and emphasise the majestic gravelly minerality and saline picante black liquorice finish. A truly impressive, sensually stimulating wine that deserves further ageing in the cellar for at least another 20+ years. But drinking this truly fine red now will equally bring great pleasure and enjoyment to consumers, collectors and connoisseurs alike. So what is my overall verdict? Well, my original interest in this wine started when I commented on social media that it seemed slightly incongruous that this new(ish) release could be scored by professionals with such a wide disparity … 92+/100 from the Wine Advocate, 94/100 from James Suckling and 98/100 from Bob Campbell MW. I did subsequently find out that the scores were compiled over a three year spread. Tasting the wine now, almost 5 years after production, it becomes plainly clear that this wine is both the real deal, superb premium quality and is undoubtedly improving in bottle with time. While this wine won’t be widely available, it does seem that the £99 (R1850) per bottle price tag is more than justified. This is a supremely well made wine that deserves all the positive media attention it has received. I look forward to tasting a bottle of this wine in maybe 10 or 15 years time, when it should be realising it’s full potential. What Does a £10’er Get You In a UK Supermarket…? I don’t tend to write much about branded supermarket wines primarily because I rarely buy them and rarely drink them. But of course I’m no wine snob, so occasionally I am required to delve into the supermarket aisles … to pick up a bottle of something interesting if at all possible. With my wife being very partial to a well made Kiwi Sauvignon Blanc, I decided to “trade up” from the regular Villa Maria, Brancott Estate and Nautilus brands in favour of a more premium wine who’s label suggested it offered something more complex and sophisticated. I’m also a big fan of well made Kiwi Sauvignon Blanc from Marlborough, regularly drinking Dog Point, Seresin, Cloudy Bay, Mahi, and Jules Taylor just to mention a few names. So today, I was hoping that this branded offering would at least deliver something close to these other, more boutique Sauvignon styles. 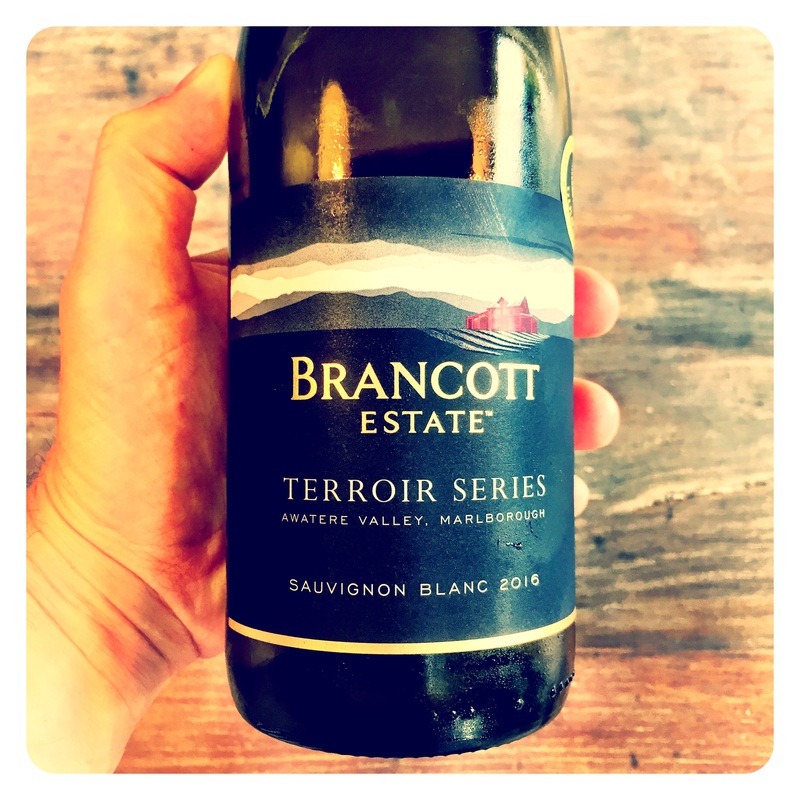 Brancott Estate Terroir Series Awatere Valley Sauvignon Blanc 2016, Marlborough, 14 Abv. 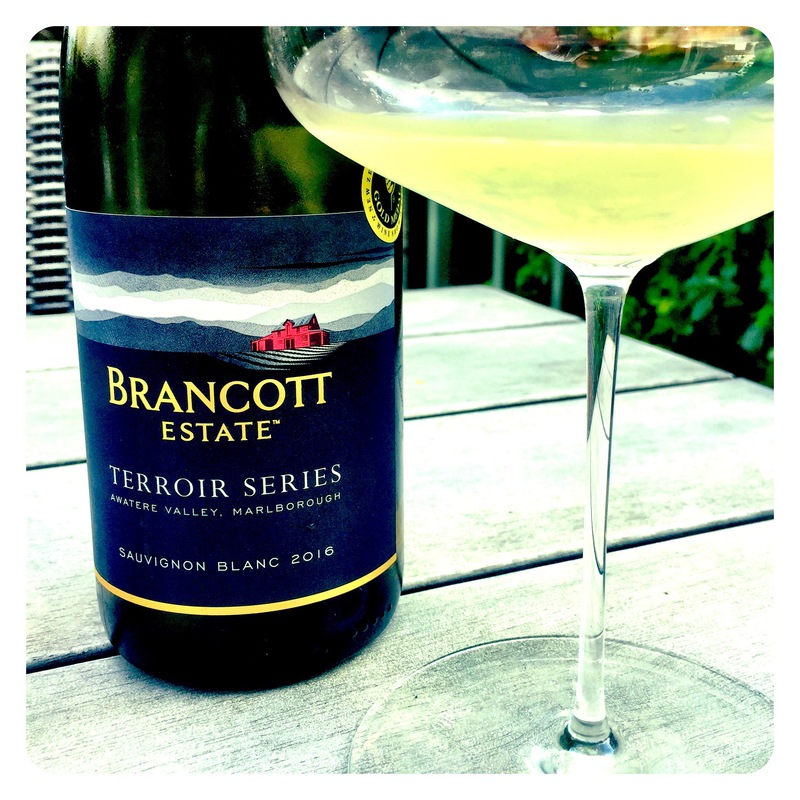 I have drunk the regular Brancott Estate Sauvignon Blanc 2016 on several occasions, and it’s safe to say it does exactly what it says on the tin, and does it well. But for a couple of pounds more, £10 precisely, you get this more distinctive, terroir driven wine. The nose is more expressive, nuanced, bristling with tart green apple, crunchy gooseberry, lemon grass, lime peel, dried basil herbs and crushed gravel mineral lift. The aromatics feature some tropical notes of green melon, guava and passion fruit, but overall the wine has more phenolic complexity, dusty minerality and a complex nettle spice. The palate too is impressively intense and concentrated, with more revealing aromatic grip, intense peppery green fruits, and a fine, palate tingling acidity. Thoroughly refreshing, and very enjoyable to drink. If you are buying a branded Sauvignon Blanc, its very hard to fault this wine and it is probably worth the extra money to trade up. 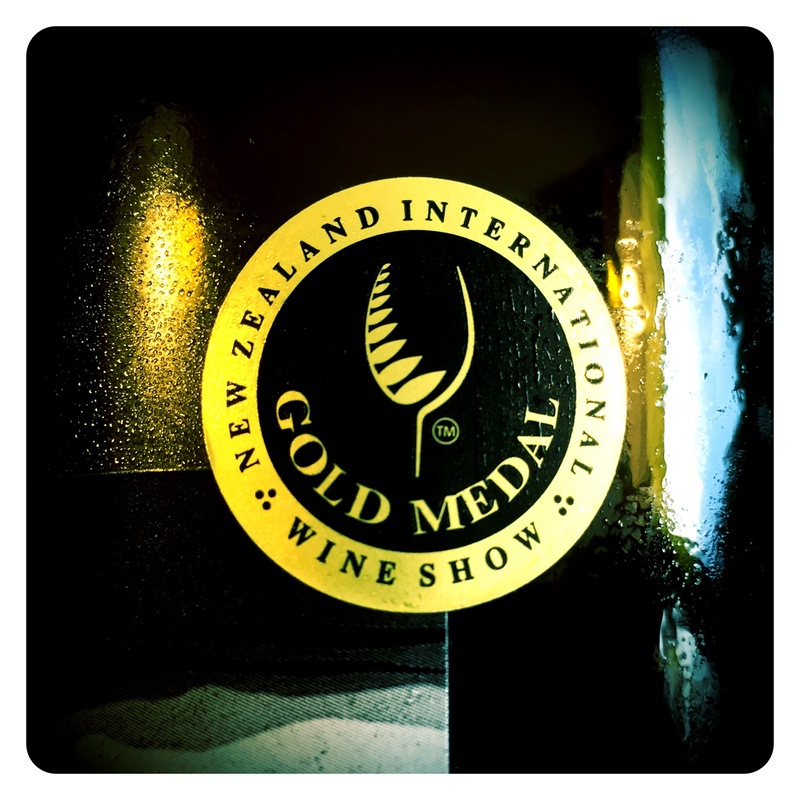 I don’t seem to write about New Zealand wines enough. 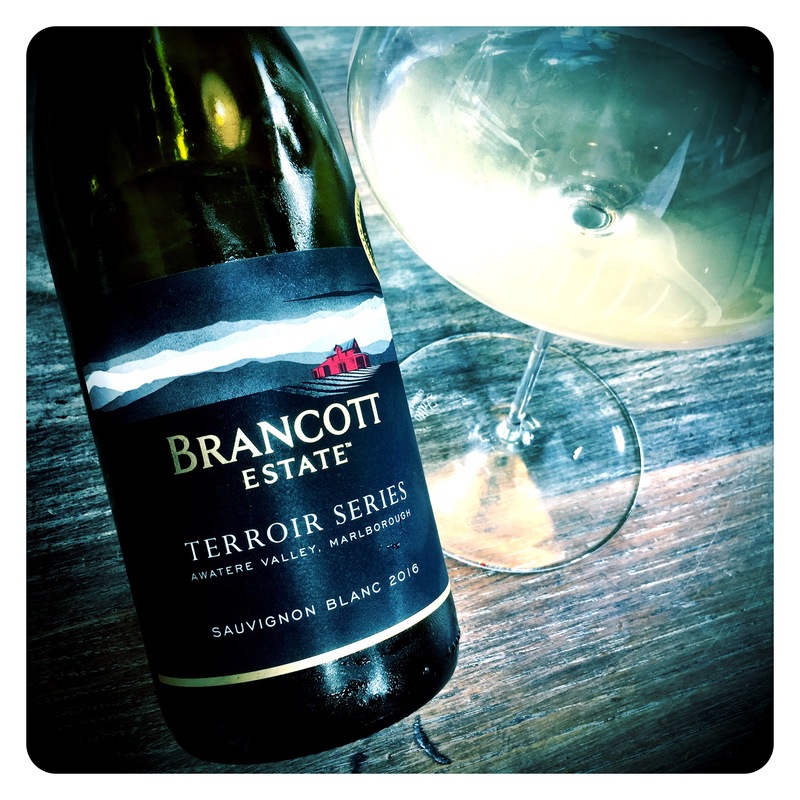 Is it perhaps because I don’t often get surprised or stopped in my tracks by an exciting new release Pinot Noir, Chardonnay or Sauvignon Blanc? Possibly. Don’t get me wrong, I love all New Zealand wines including commercial supermarket Sauvignon Blanc brands etc. But they don’t necessarily inspire me to wax lyrical and share them with followers of my blog. 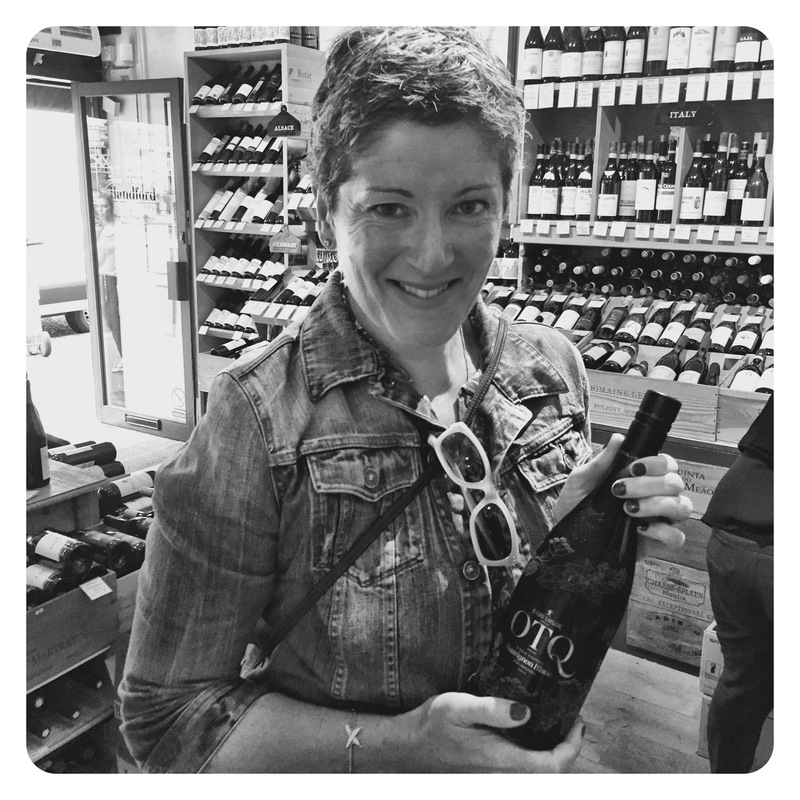 But yesterday the lovely Jules Taylor hosted a tasting of her full range of wines for me. 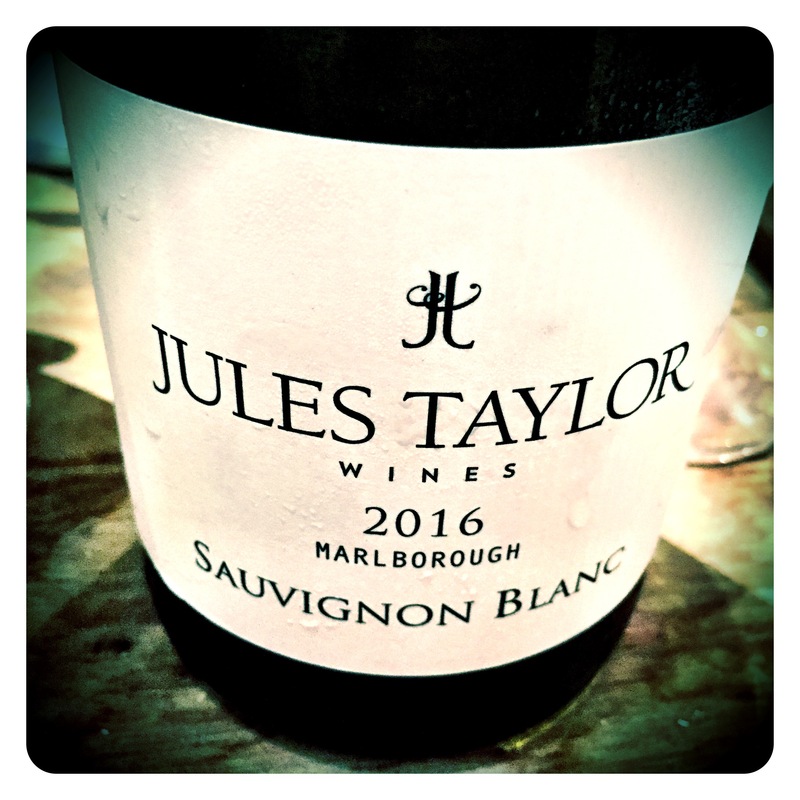 Jules launched her own label in 2001 and made her first batch of Jules Taylor wines including 200 cases of Pinot Gris and Riesling. Today those 200 cases have been joined by Sauvignon Blanc, Chardonnay, Pinot Noir, Rose, Gruner Veltliner and Arneis. 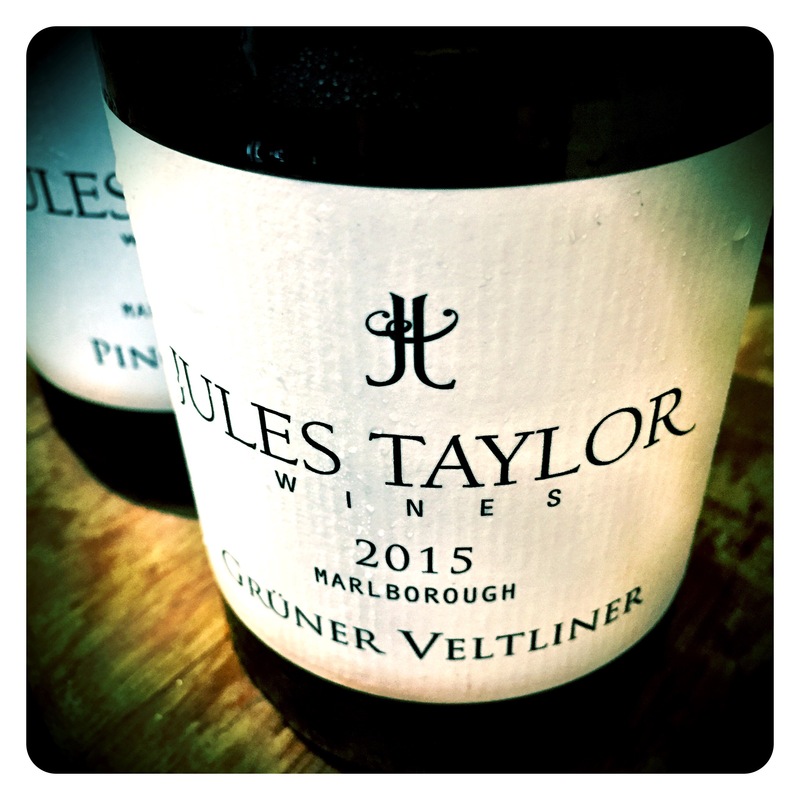 Jules produces very smart wines as you’d expect from someone who previously worked at Cloudy Bay and Kim Crawford Wines, both kiwi Icon brands. But her Jukes Taylor wines are much more artisanal and characterful with real complexity and attention to detail. I’m especially a big fan of her Gruner Veltliner but it was her 2016 Pinot Gris that unexpectedly just blew me away. Made from new clone M2 and 52B Pinot Gris planted in the last 6 years, they produce beautiful little berries which are full of concentrated flavours of spice & stone fruits. The grapes for this Pinot Gris come from the Lower Wairau, Southern Valleys and Lower Dashwood sub regions of Marlborough. A portion has been hand-harvested with the balance picked in the cool of the morning by machine. The machine harvested portion of this fruit was fermented with selected commercial yeast strains chosen to enhance the natural flavours of the variety. The hand-picked portion was whole bunch pressed, then wild fermented with natural yeasts. This also underwent a full malolactic fermentation. Lees stirring in the barrel has also added an extra textural component to the wine. The wine was blended, stabilised and bottled in July 2016. 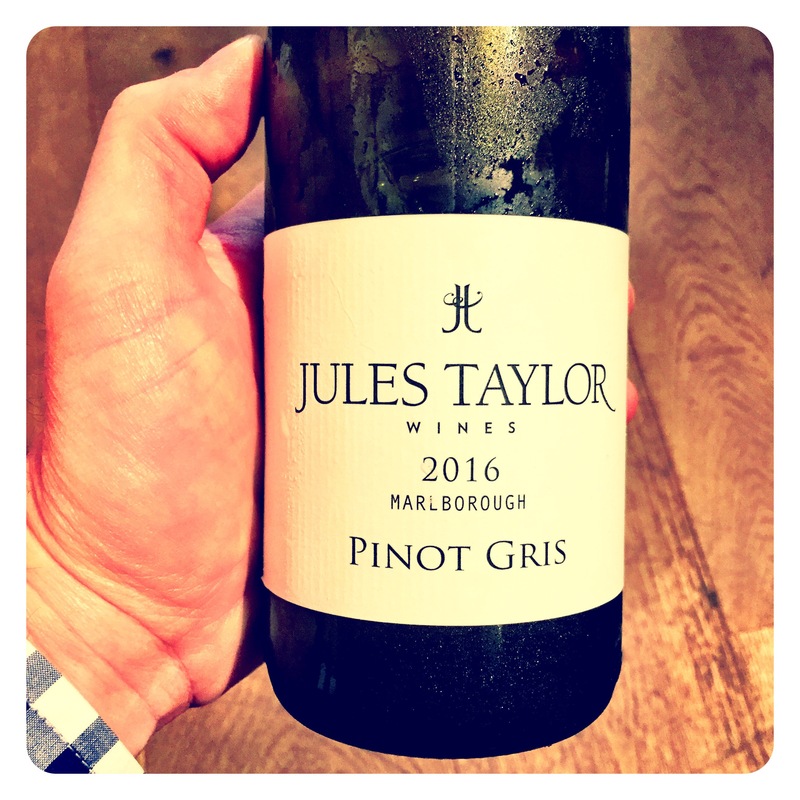 A beautiful textural Pinot Gris with lucious pear, white peach, tangerine peel and aromatic stone fruit flavours. The partial wild ferment imparts extra richness, and exotic complexity while the lees stiring contributes a complimentary nutty, biscuity minerality. There is no flabby fat on this taught, beautiful Pinot Gris with the wine remaining almost bone dry at 1.8 g/l RS. The palate is layered and textured but underpinned throughout by a vibrant crystalline acidity and great fruit intensity. I don’t think I’ve enjoyed a kiwis Pinot Gris this much in years! I first met Brian Bicknell way back in 2000 when he was still making the characterful wines of Seresin. I thought he was a real cool dude back then and certainly still think so today. So it was wonderful to catch up with Brian this afternoon to taste through his lovely Mahi wines. Brian is an ex-Roseworthy graduate and chose Marlborough to settle down in way back in 1996 after making wine all around the world for 15 years. 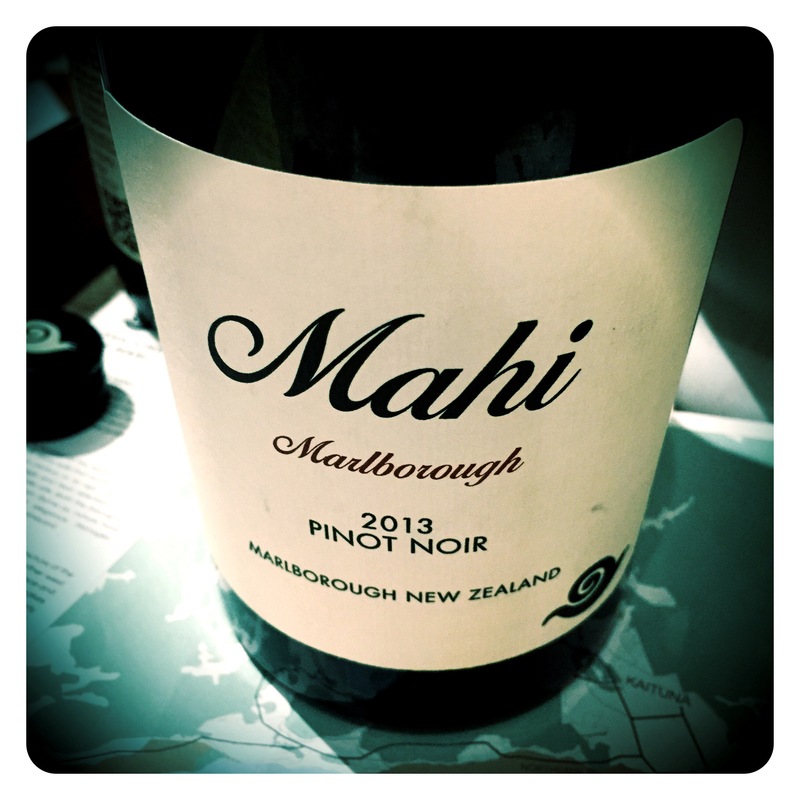 His first Mahi vintages were in 2001, buying fruit from a dedicated group of growers. In 2006 Brian acquired the old Cellier Le Brun winery, finally giving Mahi wines a true home. Working very naturally in a hands-off manner, Brian focuses on making wines that speak of their terroir and origin. Sourcing fruit from the same vineyards continuously, for many years, has also allowed his knowledge and understanding to grow with every vintage. All his single vineyard wines use wild yeast ferments while his estate wines are a combination of innoculated and wild yeast vinifications. 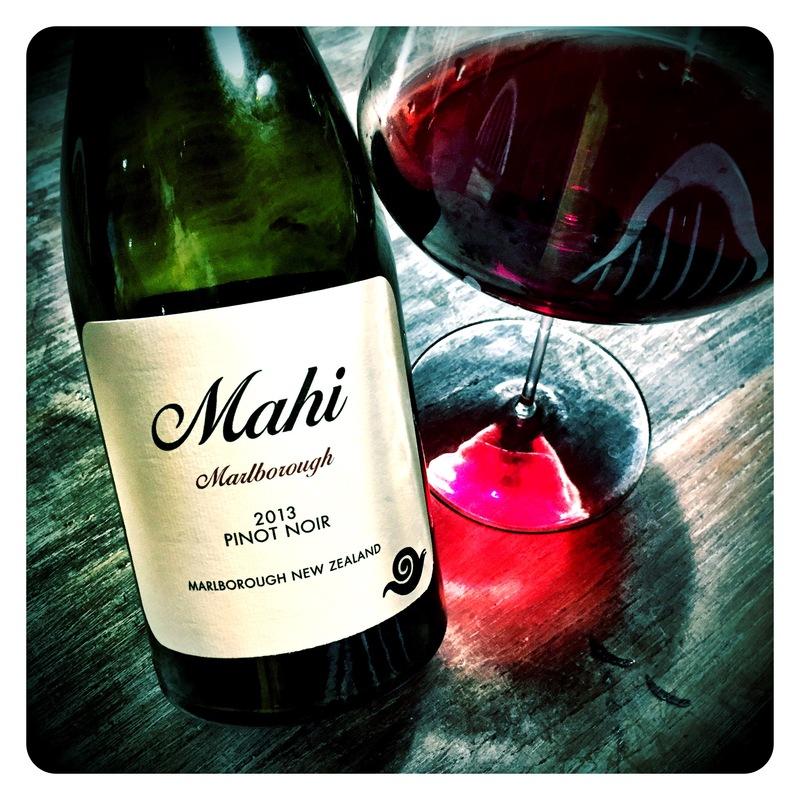 Tasting Note: Mahi Wines 2013 Pinot Noir, Marlborough, 13.5 Abv. – This wine shows very pretty black fruit aromatics and wonderfully lifted, fragrant perfume. Sweet roses, pink musk, red plums, black cherry and black currant notes waft out the glass intermingled with graphite, gravelly spice and pithy foresty bramble fruits. The palate is vibrant, slightly crunchy and fresh revealing sour plums, stewed cranberries and salty black berries with fine, spicy, savoury mineral tannins on the finish. Has all the hallmark elegance of fine Marlborough Pinot Noir with ample minerality and sappy choc spice oak complexity on the finish. A wine starting to show real promise at 4 years old. Drink or keep for another 5 to 8 years.